Home Technology Nokia unveils Nokia 9, the bottonless MeeGo smartphone is coming soon! Nokia unveils Nokia 9, the bottonless MeeGo smartphone is coming soon! Just recently the Mobile giant Nokia unveil their new button less smartphone, the Nokia N9 a shiny phone made out of glass and single piece of polycarbonate material.Compared to other iPhone and Android-based phones that users need to use escaped buttons to return to home screen, N9 can be operated with a single thumb by merely swiping to switch between applications. Nokia N9 is equipped with 3.9-inch high-resolution LED touch-screen and 8-megapixel camera.Powered with Meego OS the operating system which Nokia created in collaboration with chip giant Inte. 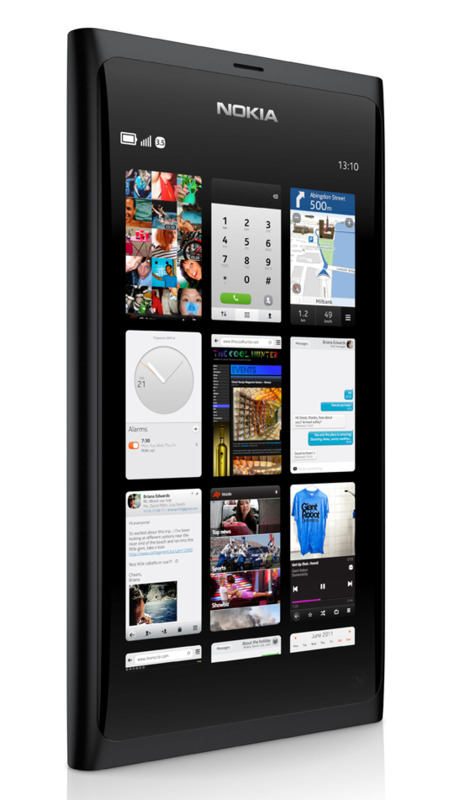 N9 is the online Nokia Phone would run in Meego since the company would migrate to Windows Phone 7 OS. However, Nokia is committed to supporting the Symbian OS till 2016 and in follow up they will ship at least 10 symbian phones in the next month as stated by the mobile company. Nokia N9 is expected to due this year and the price defends on gigabytes variant; The 16 GB N6 would sell $675 and $762 for the 64 GB respectively.